We had our own astonishing multicoloured firework display at Allumer this November. Lighting up your timeline with our vivid bells and chains. 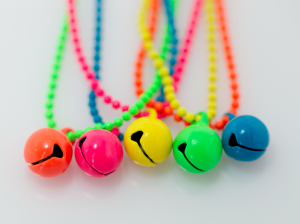 If you love fireworks then take a look at our sparky Match Firework necklaces. There are a huge number of flashy combinations, and why not make it personal with an engraving. Engrave a message into a piece of jewellery of your choice! With November also comes Black Friday. The perfect day to pick out a gift for your friends and family at a discounted price. Use our code BF20 for 20% off ALL our jewellery!! Did you see our hair raising competition on social media? 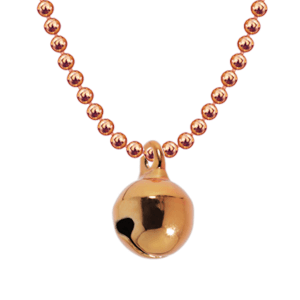 It gave our followers a chance to win an Allumette bell necklace! The competition proved to be very challenging with many people guessing very low, but our closest guess and winner was Sarah McDonnell who guessed 1400. The final result was 1589! A lot more than it looks! You can find our Allumette bell necklaces on our website (click on picture to view), available in many vivid colour combinations making it the perfect gift in time for Christmas. The necklace that is not only seen glistening but also heard jingling. 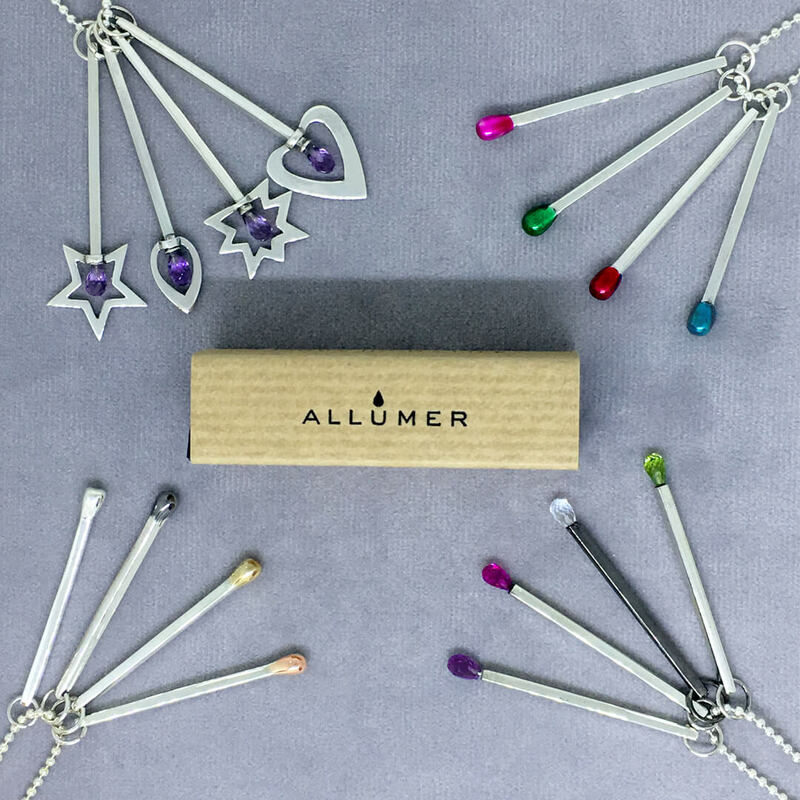 Allumer crossed the channel to present our Match collection at the glamorous Paris Fashion Week. Organised by the UKFT, our work was amongst many other talented designers unveiling their SS18 collections. 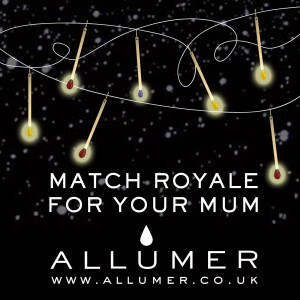 Light up your life with our elegant Allumer match! 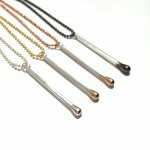 The match is available in a variety of gleaming metals: silver, rose gold, yellow gold and black rhodium. Create your own match by choosing your favoured tip! Dipped a in rich gold or add a spark with one of our fireworks. Feeling colourful? Choose a vibrant precious stone or coat in a flashy coloured enamel. MAKE YOUR LIFE EASY…TREAT YOUR LUCKY LOVED ONES TO AN ALLUMER GIFT CARD! Buying a gift for a friend or loved one can be challenging. You know they love a little luxury, but with so much to choose from, where do you start? There’s no expiry date and Gift Cards can be purchased and redeemed online. Our unique website allows you to create and personalise your jewellery. Struggling with what to buy your Grandma, Mother, Daughter, Sister, Girlfriend? Not to worry – Allumer has you covered! With so many stunning collections to choose from, we really do have something for every lady of the family. (warning not to be opened in front of the in-laws)! With all this jewellery to choose from, make sure their Christmas is the sparkliest one yet! A NOTE FROM SANTA – our last orders are going out by 5pm on the 23rd! Struggling with what to buy your Grandad, Dad, Brother, Boyfriend? 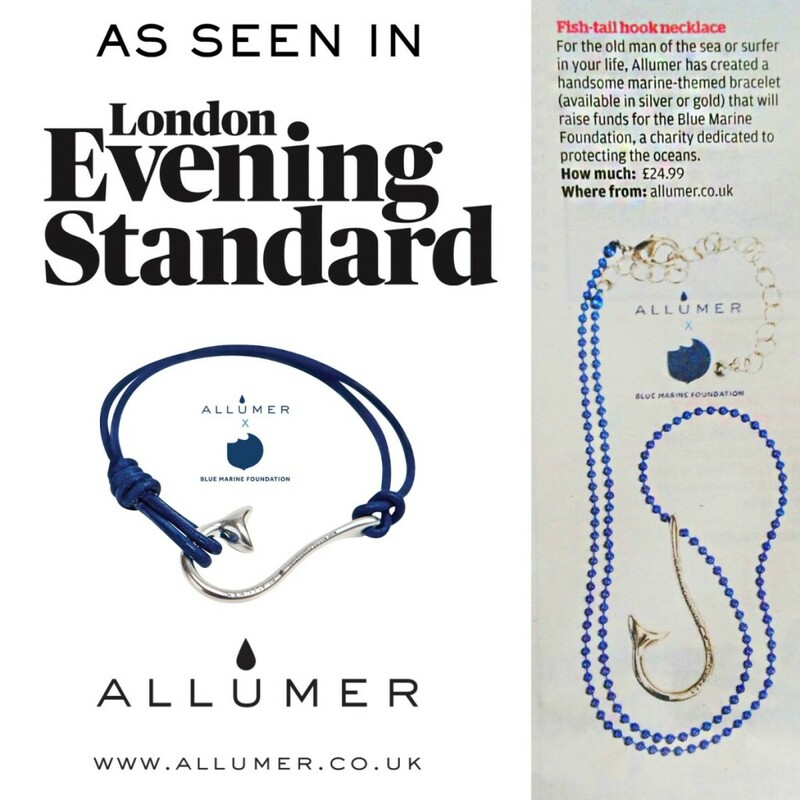 Look no further – our ALLUMER X BLUE MARINE collaboration was featured in The London Evening Standard for ‘must have gifts for him’. And with our silver fish-tail-hook bracelet being our number one seller, they are swimming away fast so make sure you reel yours in soon! With 25% going towards the charitable Blue Marine Foundation, this really is the gift that keeps on giving. #ALLUMERSUTRA – JEWELLERY JUST GOT EXCITING! These pendants will reignite the spark between you and your partner! Engraved with a beautiful illustration, when spun they reveal a couple coming together as one. Allumersutra is the perfect personalised gift for your partner this Christmas! Which position will you choose…? If you follow us on social media you’ll know that in October our posts were taken over by some kooky Allumer Pumpkins! Celebrating Halloween in style, our #ALLUMERWEEN giveaway was a huge success. After many people reposting our pumpkin, we are pleased to announce the winner is social media savvy, Alice Richardson. Here she is pictured in her #ALLUMERWEEN treat – a rose gold Allumette bell necklace! 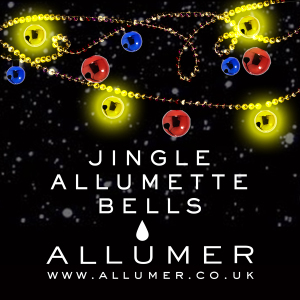 We hope you love your Allumette bell and that it lights up your life! You can find Alice’s Allumette bell necklace on our website and also on Not on the High Street ! It gives us great pleasure to announce that after all of our fishy posts on social media, #ALLUMERBIGNEWS is the highly anticipated collaboration between Allumer and the charity – Blue Marine Foundation! 25% of all sales will go towards the foundation dedicated to protecting our precious oceans and tackling the crisis of over-fishing. The brand new beautiful jewellery collection features a fish-tail-hook pendant, on a necklace and a leather bracelet, available in either silver or gold plated colours. To help BLUE raise funds and awareness for the cause, it has been worn by icons such as, Cara Delevingne, Poppy Delevingne, Simon Le Bon and Eva Longoria, making it the must have piece of the season. We have dived into the deep with this collection – help us turn the tide. It’s September, the month of fashion! - MABU BY MARIA BK; Embellished leather sandals, or anything that shows your kitsch and quirky side. - Embellishment textures: sequins, scallop edge or anything that’s out of the ordinary! - Valentino’s my rockstud tote; or any bag with vibrant embroidery. -Vibrant hues of orange nail varnish, lipstick and powdered blush will scream attention. - Anya Hindmarch Stickers, to customize your accessories to your personal taste! - Why buy plain ankle boots, when you can get a pair covered in fur? - Gucci Dionysus snake shoulder bag. You can also call it the Birkin of street-style! - Melody Rose gold design skull crockery, because style isn’t just limited to apparel and accessories. Last but not least, the big “S” word: STYLE! S is for STYLE! Style brings confidence and with confidence comes happiness. Shine bright with this Flicker of Light necklace! And don’t forget you can style this as an anklet or bracelet or both! It’s your STYLE! - Ashish X T’aint collaboration t-shirt, to compliment your stand-out Allumer necklace. - Bright pink nail varnish & cream eyeshadows, to highlight the details of your wonderful top! On Thursday 21st April, Allumer were thrilled to be invited to the home of Mishcon De Reya for an evening of champagne, canapés, networking and selling. The evening was full of many luxury brands showing some of the products and services they had to offer. Allumer had an eye-catching stand displaying our collections. Our Allumette bells definitely caught the eyes of many on the night. 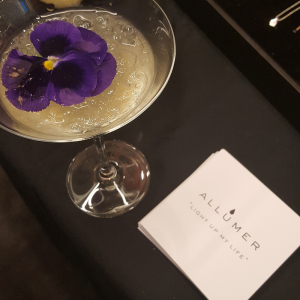 The Allumer team had a very successful night where we were able to showcase the Allumer collections and create some buzz around our jewellery. It was so great to be a part of such a lovely evening! Thank you Mishcon De Reya. The first weekend of Coachella 2016 may be over but we are still loving the trends from H&M’s collaboration. Embroidery and Aztec prints combine to create the perfect Bohemian chic festival look. The second weekend of Coachella is set to kick off on Friday so get festival ready at H&M. 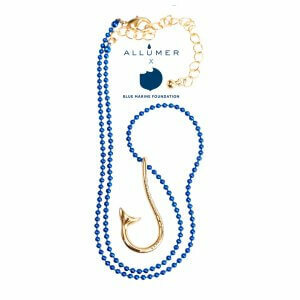 Complete your look with an Allumer pendant that will compliment any outfit. Whatever the occasion, be sure to add pastels to your Spring wardrobe for a fun, fresh and feminine look. Easter is fast approaching, and here at Allumer we’ve fallen in love with these beautifully indulgent Easter Eggs! 4. Oeuf Maisonnette Milk Chocolate Easter Egg, from £15.95, Chocolate Trading Co.
5. The Classic Ostrich Egg, £75, Hotel Chocolat. And if you’ve managed to stick to that New Year diet up until now, why not treat yourself this Easter with one of our Allumette Bell Necklaces, £24. Mix and Match our various chain and bell colour options. Tuesday 8th March is International Women’s Day! This years theme is #PledgeForParity. A worldwide movement that encourages men and women to take action so we can achieve gender parity. The idea of the campaign is for people to make their pledge on the International Women’s Day website and spread the word by sharing on social media with a #PledgeForParity Selfie card. You can also set up a campaign at work or schools to get everybody involved and share your pledges online. The International Women’s Day website allows you to make a Pledge for Parity and gives ways you can carry out your pledge. So head over to http://www.internationalwomensday.com/Pledge and take action by pledging your support, whether it’s to ‘help women achieve their ambitions’ or to ‘call for gender-balanced leadership’. Whether it’s an engraved Allumer necklace or a pampering gift set, choose the perfect gift to show her just how much she means to you. 2015 was a fantastic year for Allumer! 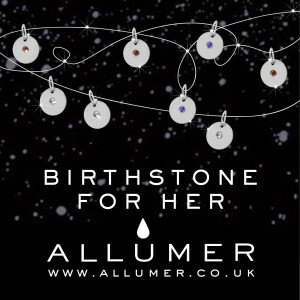 Allumer won “Fashion Accessory of the Year” at the BTAA awards for the ‘Allumer Match Pendant’. 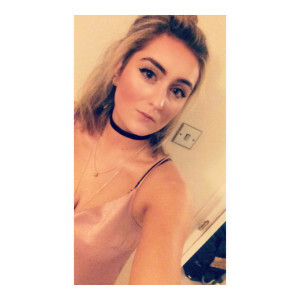 In September Natasha was awarded Retail Ambassador 2015 for Everywoman Ambassador Programme which recognises female role models in retail. Allumersutra – a collection of spinner pendants inspired by Karma Sutra positions. Tattoo – a collection inspired by traditional tattoos which can be worn on all body parts including the wrist, neck, arm and leg. Each silver or gold design features a leather ribbon in vibrant colours used to tie the tattoo on the body. 2015 has been a busy year full of success and we hope that 2016 will bring more of the same. 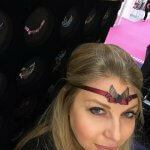 Last week Allumer exhibited at International Jewellery London at Olympia. We launched our new collections, Firework, Allumersutra and Tattoo. All of which were received by the press & trade with great success and enthusiam. All the new collections will be in stores in time for Christmas shopping. It was great to meet all the Allumer supporters! Florals are a classic print that can be worn all year around! For the late summer days & evenings team a floral print dress with a sleeveless jacket and an Alphallumer Necklace for the perfect look.